The lagoon is located in the Po river delta, Italy, besides a Natura 2000 site is a regional Park and a UNESCO MAB reserve. The project was developed according to the principles of the ICZM (Integrated Coastal Zone Management). 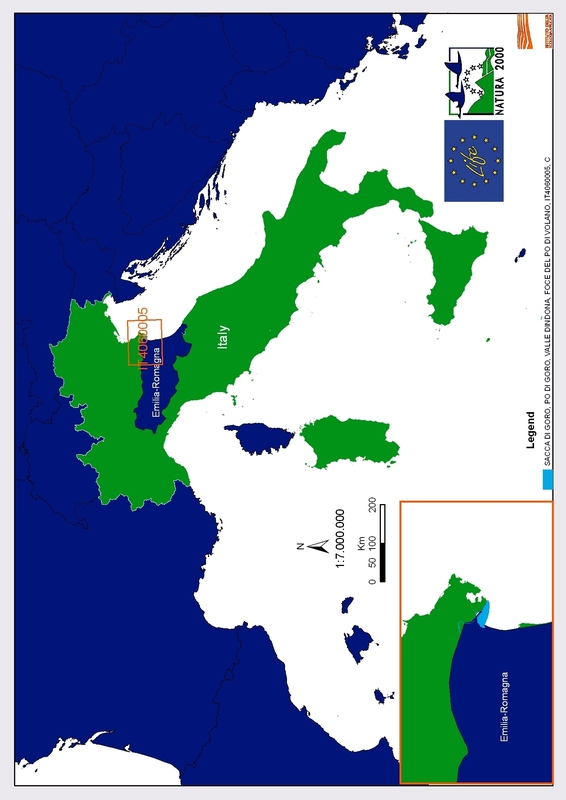 The project has an ecosystem approach to the functioning of the lagoon, including the biotic and abiotic components , an holistic point of view considering the effects of coastal dynamics on biodiversity conservation, on economy and on hydraulic safety, a vision of long-term management and sustainable development by means the participation of the main stakeholders, as a matter of fact are project’s partners Public bodies competent for coastal defense and biodiversity conservation, but also private organizations whose activities directly depend on ecosystem services of the lagoon. The involvement of privates as active in the conservation of Natura 2000 sites has already been proved successful by various LIFE projects - Natura 2000 newsletter: business and biodiversity, Issue 24, June 2008. The project is an example of the application of the ICZM principles to the habitats and species conservation in Natura 2000 sites, with an element of innovation which is the adaptation to natural processes dynamics, by means the implementation of a submerged structure to direct southern the growth of the outer bank, thus avoiding the occlusion of the main sub-lagoon channel. The other concrete actions complete the project with already tested activities, such as dredging of sublagoon channels to improve functionality, the removal of a part of the outer bank to prevent the occlusion of one of the main sub-lagoon channels, the realization with the previous removed sediment of nesting and staging area for birds protected species. Mollusc culture, the main item of the local economy, is inextricably linked to the good condition of the lagoon, therefore the project will realize a common goal among economy and conservation. It possible to apply the method to lagoons in which sediment deposition is a threat to conservation, and also part of the method to lagoons with eutrophication threats. Similar environmental settings are necessary, similar and societal and institutional settings could be desiderable but not strictly necessary.